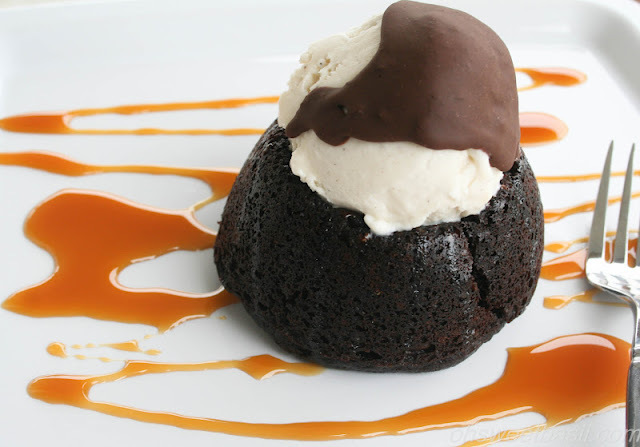 Don’t you dare tell me that you’ve never had a Molten Lava Dessert at Chili’s. Don’t. You. Dare. A few years ago I was in Hawaii and we were STARVING, the first and only restaurant that we found was a Chili’s. Random eh? 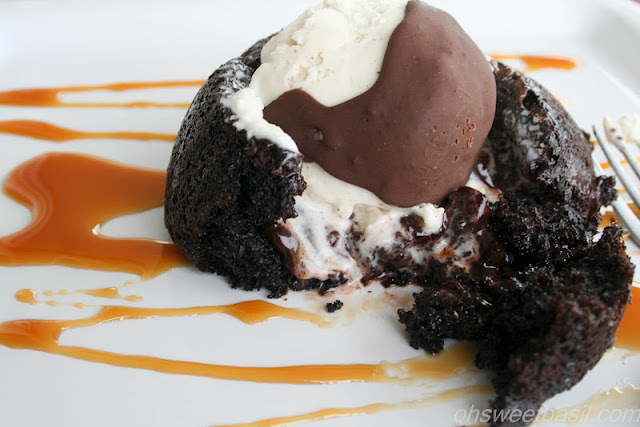 We had this copycat chili’s molten lava cake for dessert and while we may not really be cake people, this is soooo delicious! 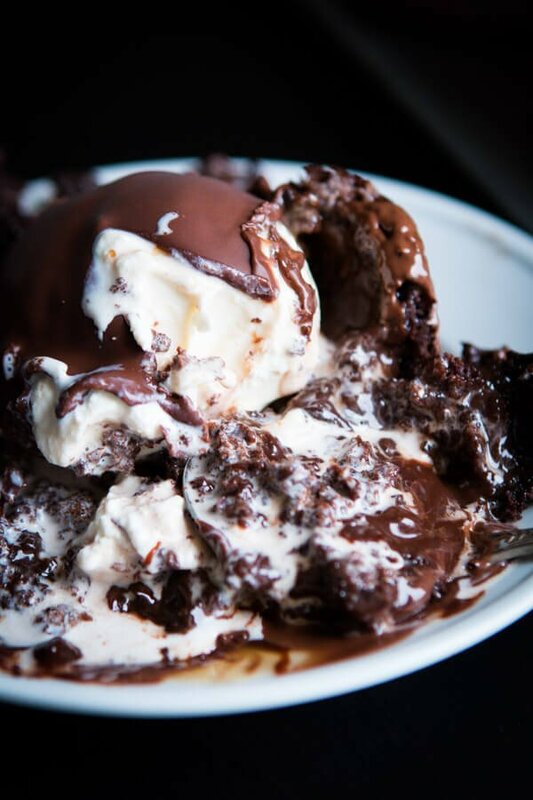 The dessert is a moist, chocolate cake filled with a delicious fudge sauce, topped with ice cream that has a homemade magic chocolate shell on it. It is served warm and the cold ice cream is a delicious contrast. 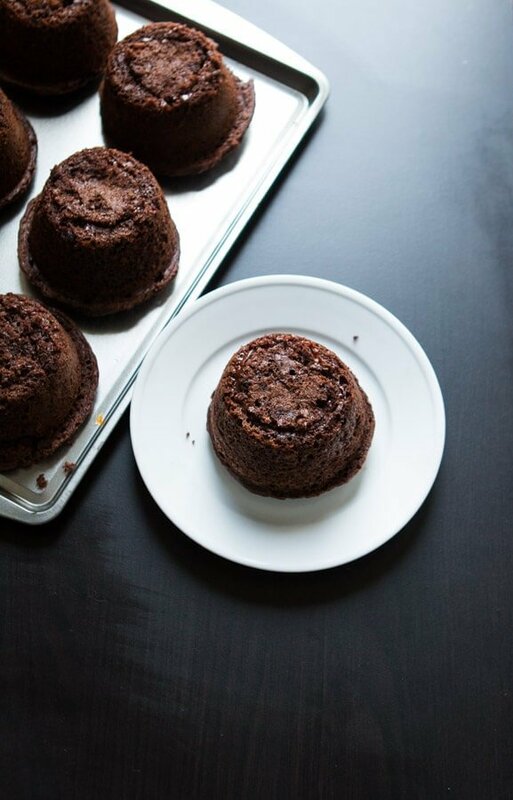 Does Molten Lava Cake Need to Be Refrigerated? No need to refrigerate it. I just cover mine and reheat each serving (for 10-30 seconds) individually later. To make the cake, you’re just going to use a boxed cake which we will doctor up using sour cream. 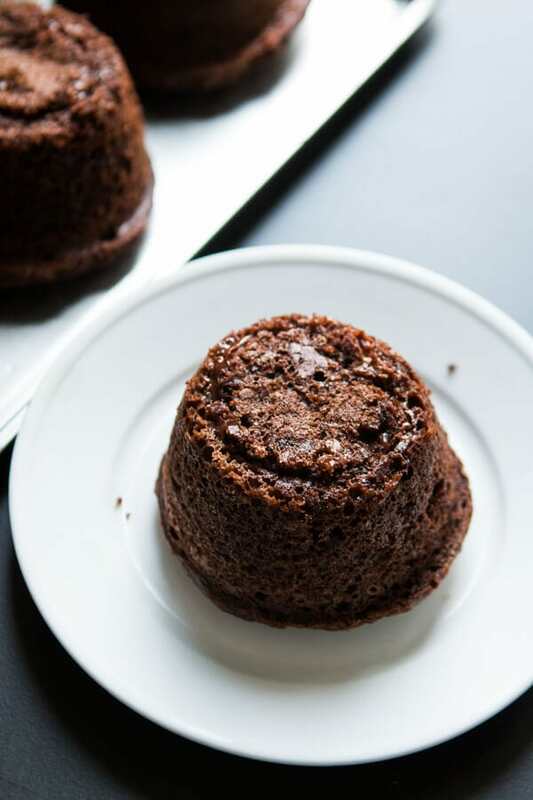 It makes a really moist cake that holds up well to the fudge inside. 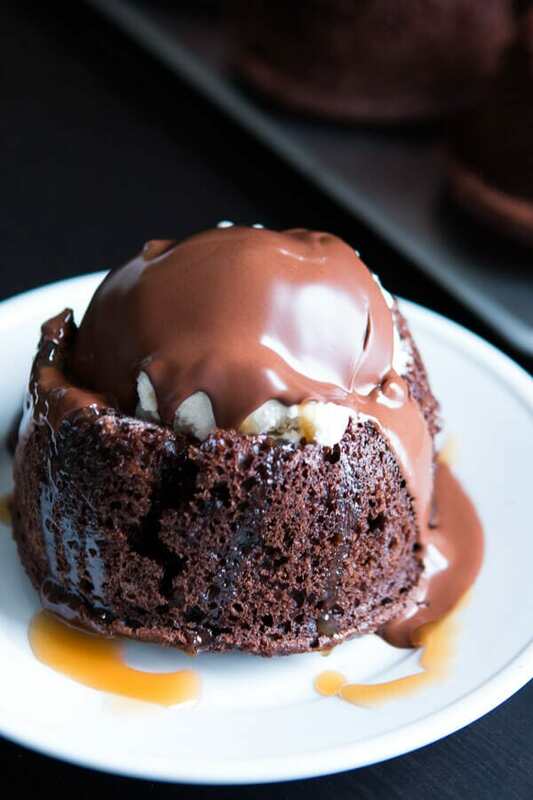 In order to make a molten lava cake you need to fill it with hot fudge and then freeze it for a bit so that when you warm up the cake the fudge pours out versus being absorbed by the cake. Does that make sense? 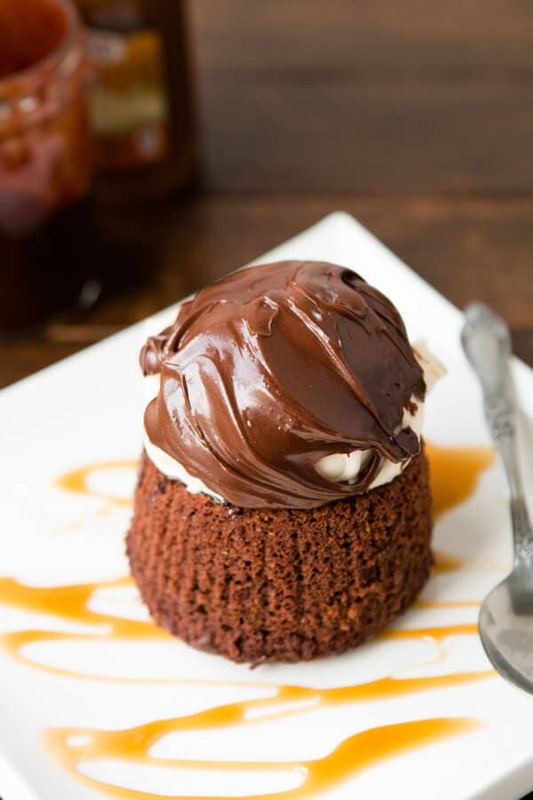 Think about poke cakes, you don’t want the fudge absorbed, though that is delicious, instead it’s best to freeze it so that it stays in the center until you want it to come pouring out. 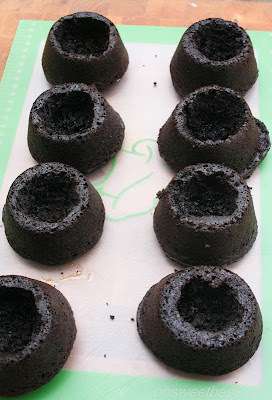 I think you could make mini cakes in whatever you want, but mini bunt pans, or Texas sized Cupcake pans work fantastic. We use this jumbo muffin pan which I got off of Amazon. It was cheaper than at other stores and better quality. Yes, quality matters as you don’t want a pan that will quickly brown the cakes. At first I tried to slice off a little from the bottom so that it sat flat, but I found that the sauce seeped through some of them, so instead I just hurried and turned them out onto a wire rack upside down and because they were still hot it just flattened the dome for me. I also think it would be wise to remind you that when you are making your domes be very mindful of how far down your knife reaches. As you are cutting it’s easy to forget and accidentally poke through the bottom. 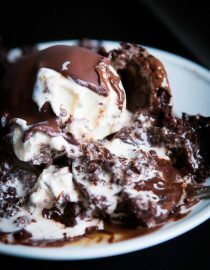 We’ve included a great Hot Fudge recipe, but I wont even blink an eye if you skip it and just buy hot fudge from the ice cream section at the store. Though I do think homemade magic shell is far too easy to not do yourself you could buy that as well. To make homemade chocolate magic shell you just need chocolate chips, we prefer both milk and semi sweet or straight semi sweet and then coconut oil. Melt, stir and set aside. If you need to store your magic shell in the fridge as you aren’t serving right away just melt it down again and let it sit before spooning it over the ice cream. 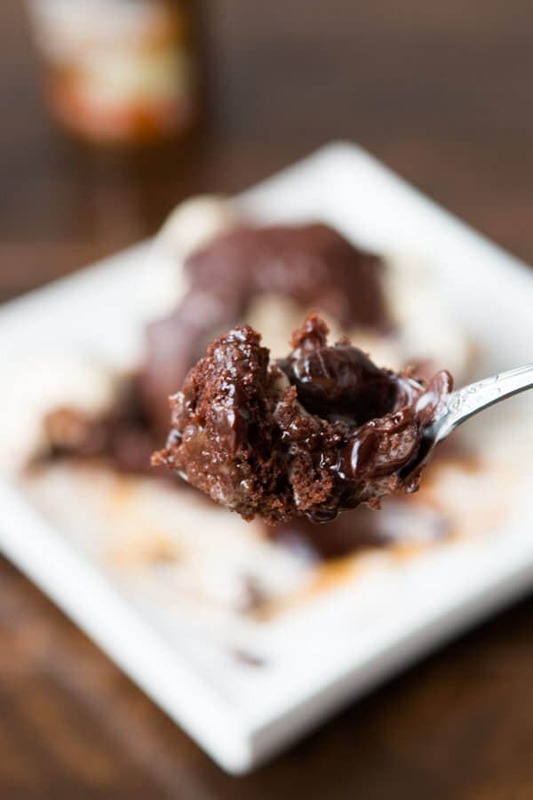 It will start to harden right before your eyes and then all you have to do is dig in to your own Copycat Chili’s Molten Lava Cakes! 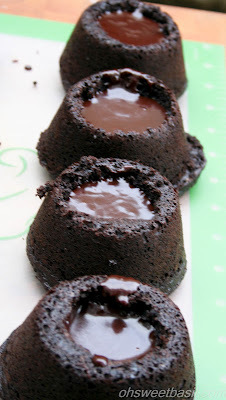 Can Molten Lava Cake be Frozen? 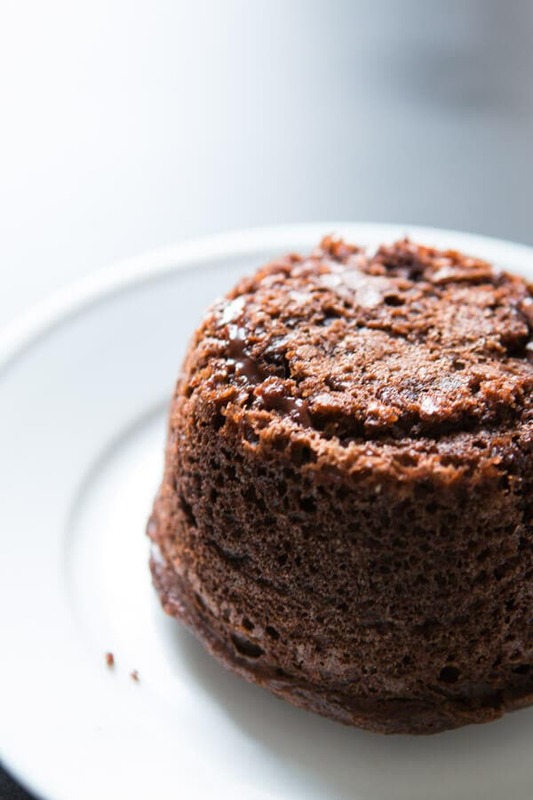 You can make this Molten Lava Cake ahead and freeze up to 2 days. Spray a large Cupcake pan with nonstick spray and evenly distribute batter 3/4 way full. Bake according to package directions. Using a pairing or serrated knife, gently cut a hole out of the center without going clear to the bottom. 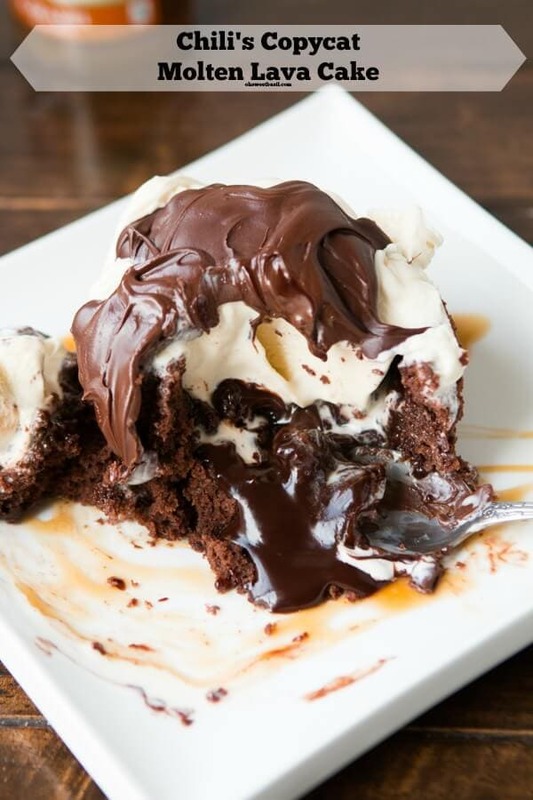 Fill with hot fudge that is cool and then slice off the bottom circle of the piece of cake you removed and place it on the hot fudge hole like a lid. Remove the cakes from the freezer and reheat in the microwave until warm, about 30 seconds. Top with ice cream, caramel, and magic shell. Melt all of the ingredients in a medium sauce pan over medium heat. Continue to boil and stir for two minutes. Remove the pan from the heat and continue to stir for one minute. Allow the fudge sauce to cool. Place the chocolate in a microwave safe bowl along with the coconut oil and slowly heat for 30 second intervals, stirring often until melted. Serve over cold ice cream and it will harden. 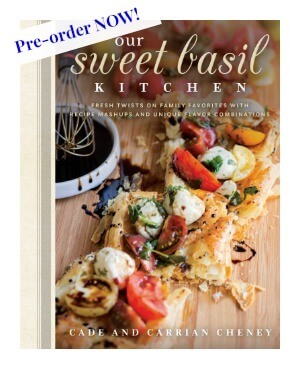 And don’t forget to preorder your copy of our new cookbook coming out March 7th!! Lots of exclusive recipes you’ll just love! Looking for a different chocolate, caramel combination for dessert? 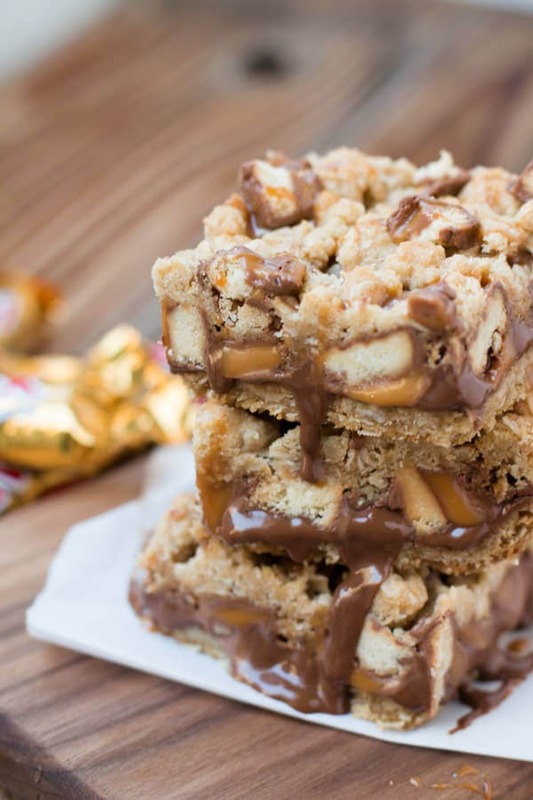 These caramelitas are a must try!